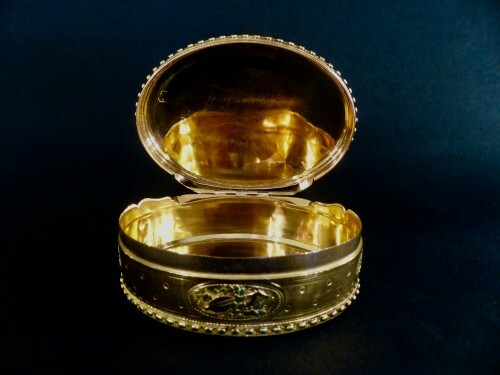 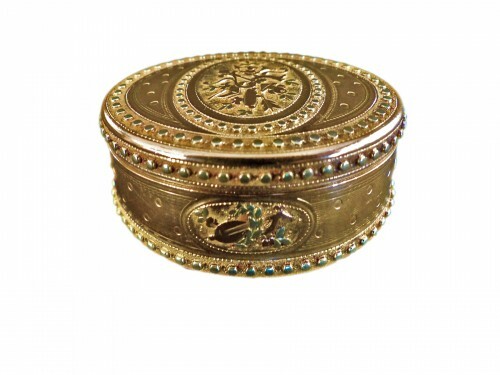 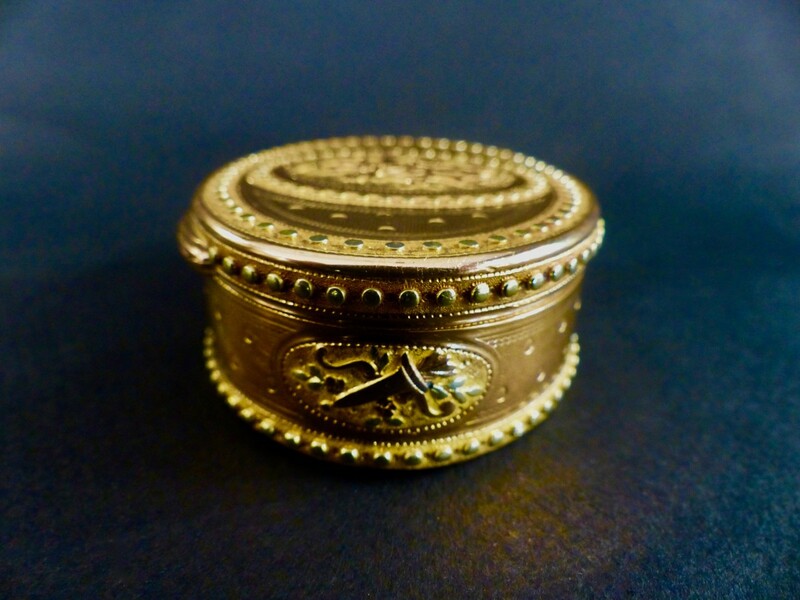 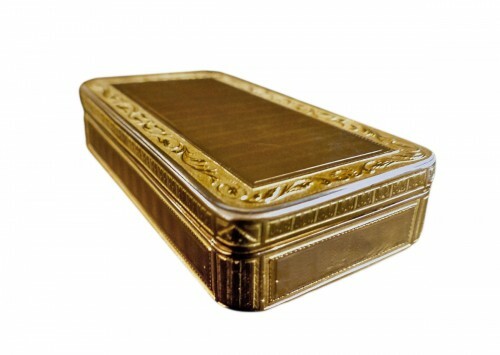 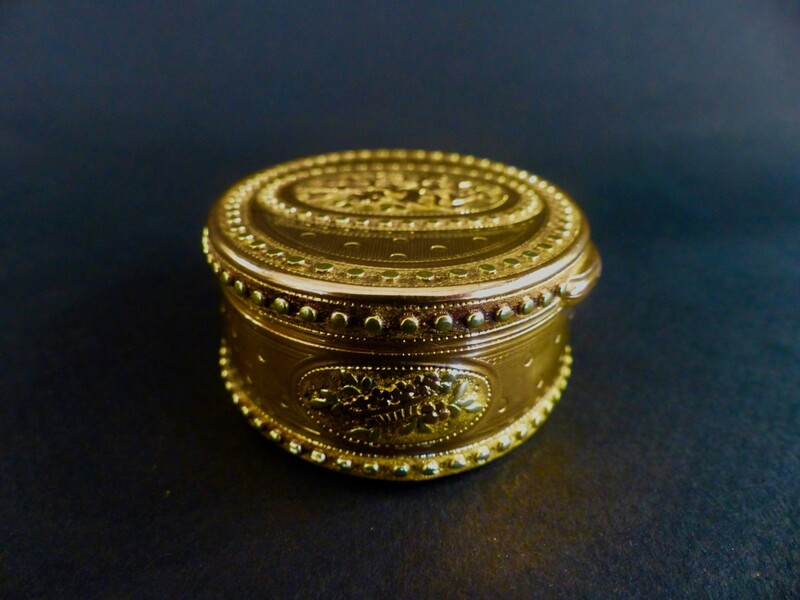 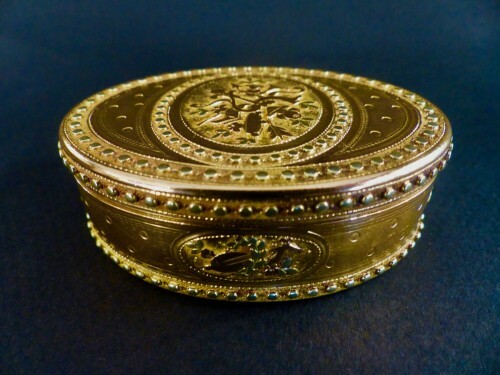 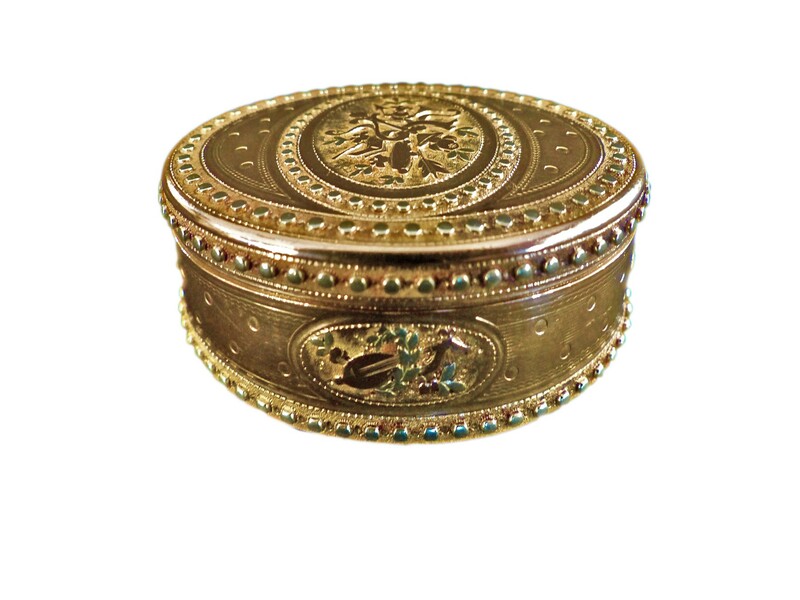 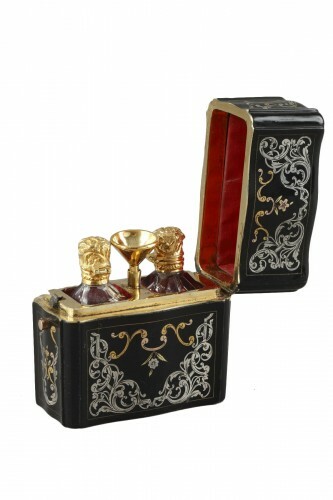 Oval box in gold of three colors. 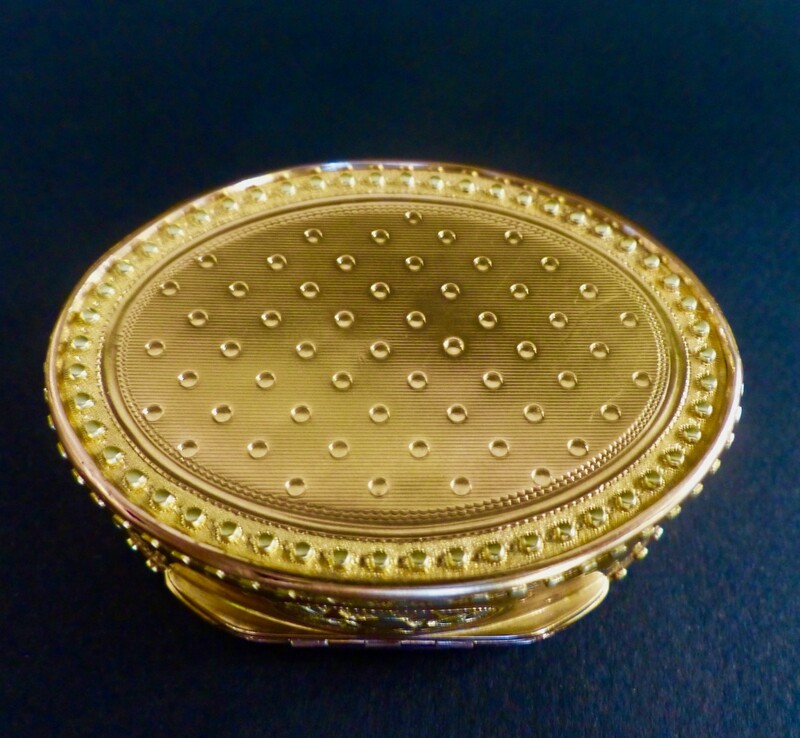 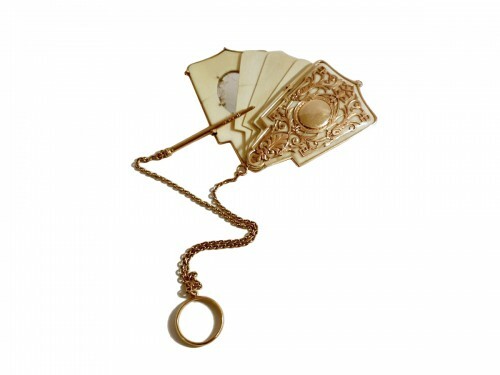 It presents a guilloche decor with pastilles. 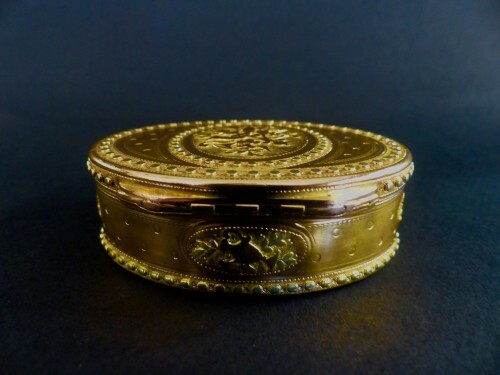 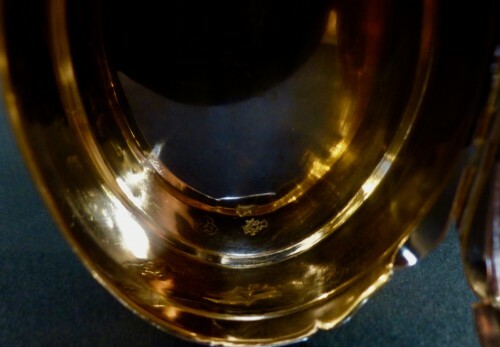 The body is composed of four reserves decorated with museum attributes. 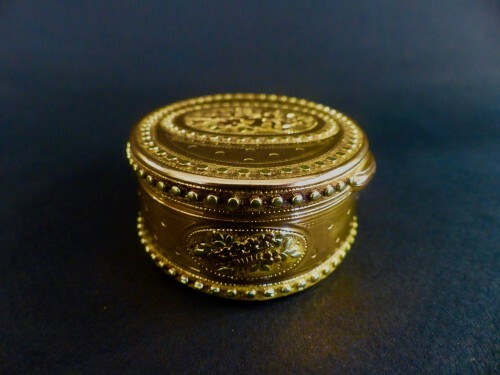 The lid is centered on a chiseled medallion with the same decoration. 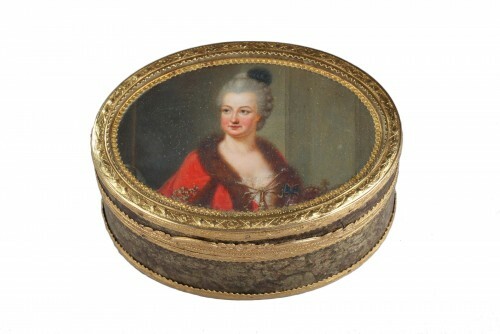 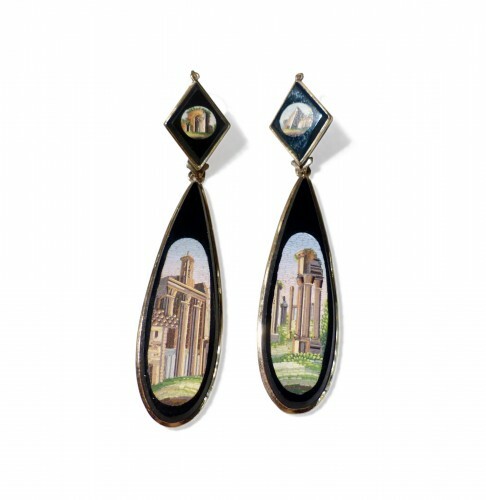 The edges are embellished with gold pearls.